These new construction apartment homes in Philadelphia, PA are conveniently located on the border of the Fitler Square and Graduate Hospital neighborhoods at 22nd & South Streets. The modern features were built and designed with you in mind – open layouts with natural light illuminating the high-end finishes in each unique apartment. Choose the layout that works best for you – one or two bedrooms, some with kitchen islands, wine fridges, side-by-side bathroom sinks, walk-in closets and more. Explore our website for more information about The Royer and its surrounding neighborhood. We’d be happy to show you The Royer in person – schedule your tour today! Your apartment search can end here, and your new apartment life can begin at The Royer! 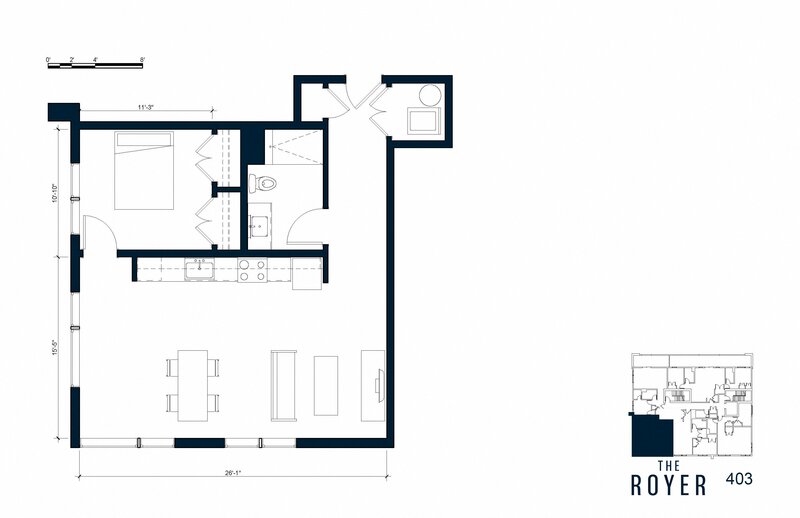 There are currently no available units at The Royer that meet your criteria.